Starting a new life at an apartment can be a very stressful affair, considering the number of things you need to get started. The main thing is that you need to start from scratch and bring everything to familiar terms to fit into your new space. 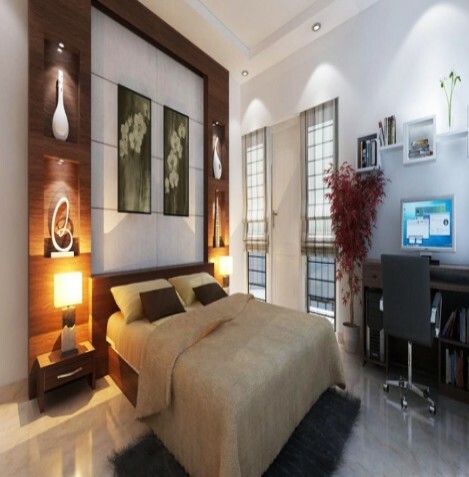 There are a few essential things, which you need to remember when getting into new luxury villas in Kochi. Although these will not fully remove all your headaches, they will certainly help you get started smoothly. Below are a few essential apartment ideas that you need to remember when moving into a new apartment. Cooking your own meals is a great way to live on a minimal budget. This way you can save your money for other essential things, which will need bigger investments. For this purpose, you need to have certain basic kitchen accessories. This includes a knife, cutting board, cast iron pan, nonstick pan, pressure cooker, spoons, glasses, and plates. These are the most basic accessories to get started, although you need much more to start cooking proper meals on a regular basis. A toolkit is a must for any apartment, even if you are a permanent resident. This will help you fix things by yourself without depending on anyone. Besides, shifting to a new place involves a lot of arrangements and assortment. Certain things such as hammers and nails are a must if you are starting to live in an apartment. Further, ensure that you carry basic tools like Phillips screwdrivers, flat head screwdrivers, a wrench, and cutting pliers. When you shift to your new home, you will carry a lot if essential stuff with you. These cannot be allowed to just lie around. Instead, it is important to find a proper facility to store your belongings. Organize your belongings in a storage facility. Buying a small cabinet could be a good way to start. This will store all your clothes. Now also arrange a stand to keep all your kitchen utensils. Small accidents could happen at any time. You could cut yourself while slicing vegetables, feel uncomfortable with a mild headache, or could get injured while shifting. Therefore, it is very important to have an emergency first aid kit handy all the time. Make sure that it contains antiseptics for injuries, ointments for external injuries, and the most basic medicines and antibiotics for common medical conditions. You may find that the new apartment already contains the essential lighting overhead. These may be basic bulbs and lamps to illuminate all the areas of your home. However, there may not be lighting when you find a good spot in your home space. For example, if you decide to read on your couch or your balcony, there may not be enough lighting. Thus, it is essential to carry a few lamps for your own use. It is quite normal that you get a little messy as you shift to your new home. You may spill something or could possibly break something on the floor. These are possible even in an apartment in use. Hence, make sure you carry essential cleaning kit with you. This will help you clean up the mess as soon as they are made. Besides, they will always come in handy when you want to clean up a place that might have been in use for a long time. Some essentials include trash bags, paper towels, multi-surface cleaning wipes, laundry detergent, and stain remover. In addition, carry disinfectant sprays and air fresheners too. When you start living in a new place, you receive it as completely empty. The walls are empty and the ceilings naked. You could say that this does not feel like home, because it has no soul. Thus, it is necessary to have a few decorations on your walls to keep the place lively. This way, your home will keep the energy aligned with your thoughts and your lifestyle. Mattresses should be one of the first things you need to buy after getting n apartment. There is a possibility that you may forget it amidst the entire bustle because you will think about it only when it is time to sleep. Hence, make sure that you buy one unless your apartment builder provides one. Finally, make sure you have the essential toiletries like the toilet paper, soap, cleansing lotions, and shampoos. Moreover, ensure that the bathroom has a stand to put your roll into. Another very important thing to remember is the trashcan. Make sure that you have a dustbin at your kitchen as well as in all the bathrooms.